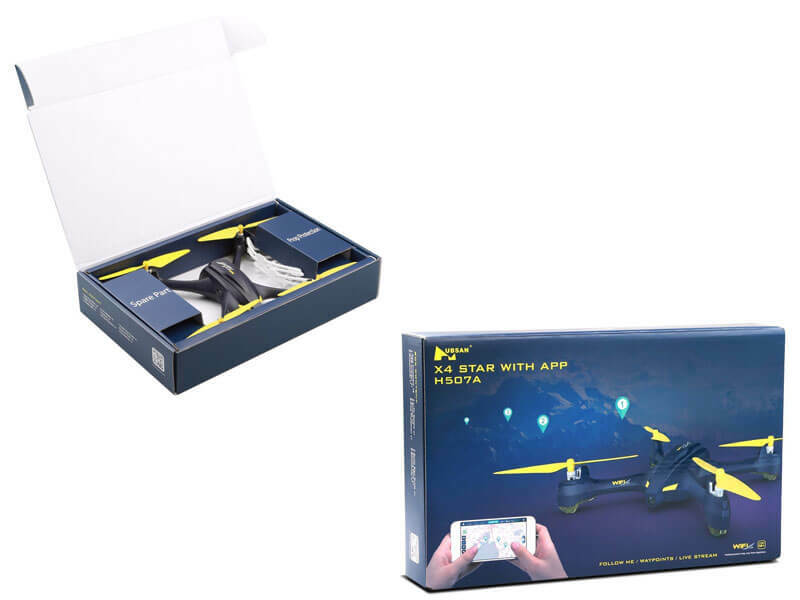 Hubsan, a very popular drone manufacturer has just launched the all new Hubsan H507A Wifi FPV Selfie Drone that is meant to be a “continuation” over the X4 line of drones with just some extra features added on. They haven’t gone overboard with the design. It is actually quite minimalistic, probably going with the saying “less is more”. The H507A has a 135 mm rotor and the wheelbase that has 225mm. They chose to combine the black body with yellow propellers, which is a very good choice in my opinion. The size of this thing is 225 x 225 x 60mm and it has a weight of only 162g. The Hubsan H507A has a WiFi connection and that means you can control it from the comfort of your smartphone if you want. All you need to do is download their app and you are ready to go. There is also an FPV mode which can be quite useful in combination with the RC. 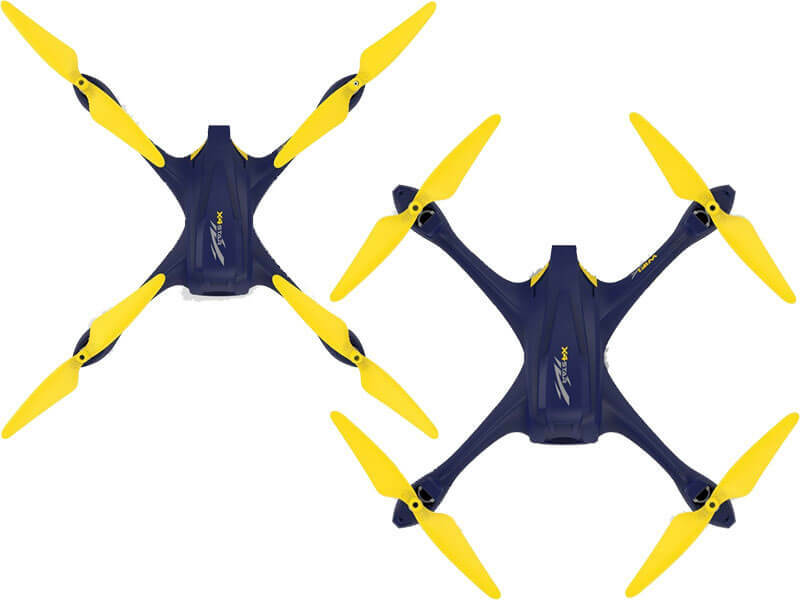 The quadcopter has 6 Axis and it has a simple HD 720p camera with a Wide Angle of 85 degrees FOV. There are also some basic commands, that every drone should have, like Headless mode, automatic take-off, return to home in case of low power or if it loses internet connectivity, waypoint fly and of course automatic hover. The motor doesn’t have any cores. 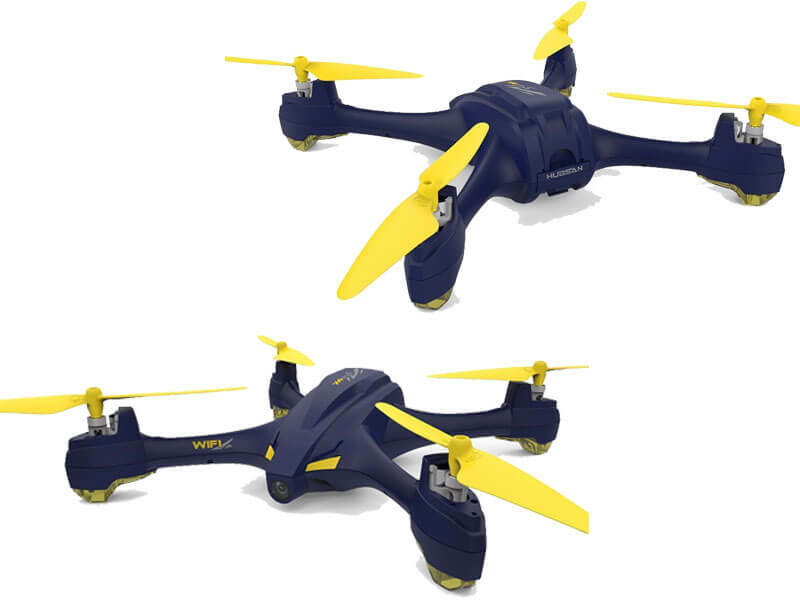 The H507A has a 7.4V 450mAh Li-Po battery and it weighs 24.5 g. It seems that you can fly the drone for about 10 minutes if it is fully charged, depending on the conditions. After it is empty, you can charge it in about 90-110 minutes. Also, the max distance at which you can control this quad is about 100 meters. 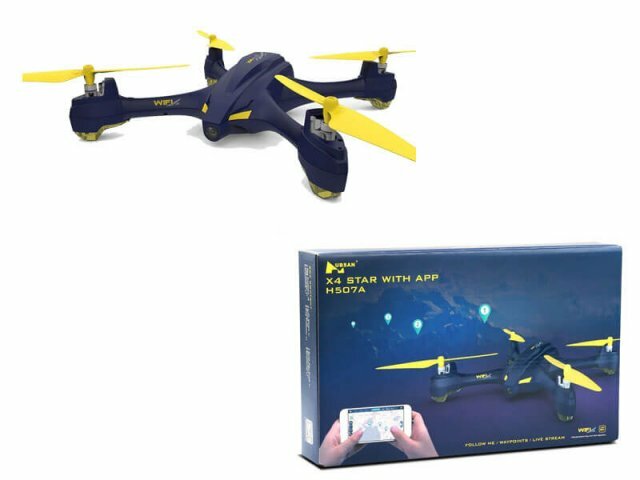 Simple and good looking, this drone can be quite a deal. Right now you can purchase it from TomTop at under $100, so hurry up if you want to buy it, because the offer won’t last much. In any case, even without the little discount, this quadcopter is quite reasonable and the price to performance ratio is quite good.